(1) Thermal Printed Label: Information and instructions can be printed directly on to the label via a thermal printer. Through the use of a heated print head the printer prints directly onto thermal coated paper. The advantage here is that no ribbon is required. The one down side to this is that the printed instructions may fade after several months or if exposed to direct sunlight. 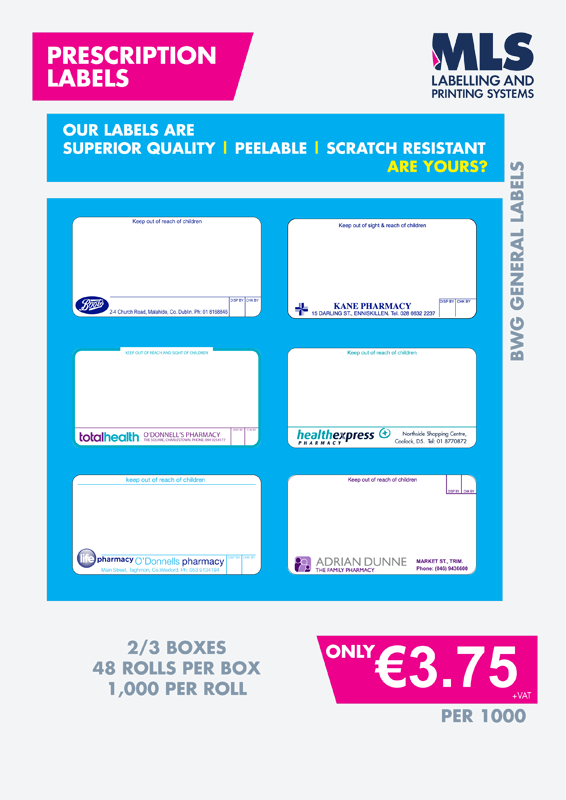 (2) Thermal Transfer Labels: This system works best for pharmacies whereby the printed instructions are printed onto the label via a thermal ribbon which in turn produces an almost indelible print onto the label. This method tends to have more clarity, will stand the test of time and is not susceptible to deterioration from sunlight or scuffing. The only disadvantage is the use of ribbons, but this is far outweighed by the many benefits. In general this process is more reliable and poses little or no problems. The fact that ribbon is used acts to prolong substantially the life of the thermal print head. This can significantly reduce costs, as print heads are expensive to replace. (3) Price Marking Labels: Price marking labels are still extensively used in pharmacy labelling and while the purpose is obvious i.e. showing the selling price, they do fulfil other functions as well such as pricing and coding, price code and date, reduced and special offer labels as well as PRF. Unit pricing per Litre and Kg are now mandatory for certain pharmacy products. For sample layouts please refer to the price marking / coding section on our website. (4) Gift Labels: Pharmacies that sell a range of gift items and perfumes tend to use a quality label bearing their name / logo and address. 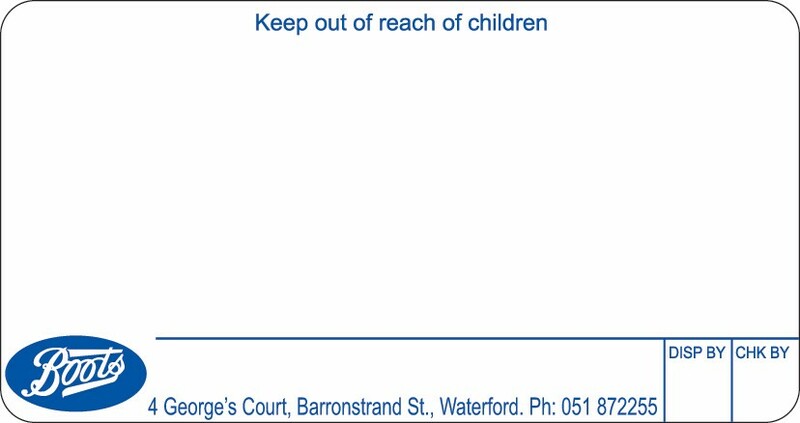 These are generally gold or as specified by the customer. 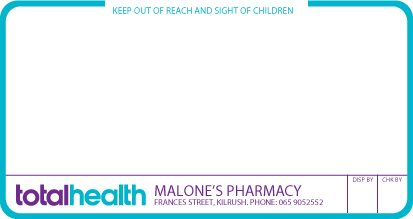 (5) Instore-Labelling System: We now provide an InStore Labelling System for pharmacies to help promote sales in the shop, making customers aware of the value that is now available from pharmacies.